Arguably one of the most influential thinkers and authors of the 20th and early 21st centuries, Brzezinski is regarded by many as the vanguard of modern globalism and the architect of the new world order. Brzezinski’s two seminal publications, Between Two Ages and The Grand Chessboard are near blueprints of how globalization and geopolitics has progressed in the post-WWII world under an international system of Anglo-American economic and political hegemony. Brzezinski was born in Warsaw, Poland and attended university in both Canada and the US. In mainstream politics, Brzezinski first came to prominence in the early 1960’s as adviser to president John F. Kennedy and later with his successor Lyndon B. Johnson. During his tenure as chief national security advisor to president Jimmy Carter began in 1976, Brzezinski is said to have helped to broker the Panama Canal treaty, as well as Camp David negotiations between Israeli and Egyptian leaders, Menachem Begin and Anwar Sadat. He is also credited with opening up China to the West, and helping to topple the Soviet Union. 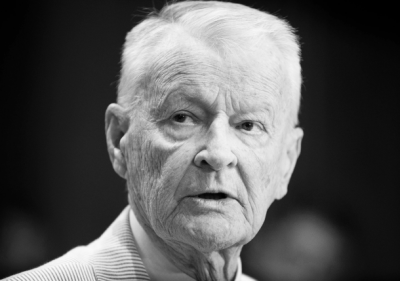 In his final years, Brzezinski’s efforts focused on the US-EU project to encircle and isolate Russia by pulling former Soviet republics and Balkan countries under the umbrella of the North Atlantic Treaty Organization (NATO).